Rajesh Exports (REL), in a potential game-changing move for the industry, announced plans to sell products at per-gram rate, the buyer paying no wastage, making and other hidden charges. REL said the initiative, promoted as Gold Revolution, would be launched at its Shubh retail outlet showrooms. Contrary to the general practice of all jewellery stores, Subh outlets will not charge any additional charges like wastage, making charge, value addition charge, etc. REL will sell 22 carat gold jewellery and coins with Hallmark of 100 per cent guaranteed purity. For example, if a customer buys 10 gms of gold at a price of Rs 1,600 per gm, he actually pays 15 per cent 20 per cent more than the Rs 16,000 jewellery due to various hidden charges. But Subh will charge only 3 per cent or Rs 48 more per gram towards its various costs. In next 3 years REL plans to open 250 Subh showrooms in various cities in the country, a ten fold jump from 25 at present. This will help the company increase its presence in jewellery retail space which now accounts only for 2 per cent of its revenue. Going by these developments REL is a definitely a stock to watch, in the coming days. No charges. That is a good news ! 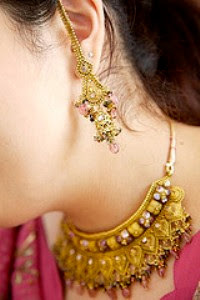 It is definitely create some changes in the Jewellery industry. Ya it's definitely a good news.. However they should announce the rates on their respective websites on day to day basis..